Pasture managers consider feeding of sufficient forage for livestock, specifically dairy buffaloes, as an important factor in attaining healthier and good-performing animals. They correctly discern that implementing good pasture management and grazing principles increase forage quality and yield, provide a more wholesome place for the grazing of buffaloes and improve their performance. They also know that they prevent the occurrence of nutritional problems that eventually affect their productivity. Moreover, according to experts, healthy pastures are beneficial to the owners, animals and the environment. They prevent erosion and water loss that lead to land degradation. In maintaining a good healthy pasture, soil nutrients and pH are managed well, and forage growth and the animals’ are consumption are closely monitored. 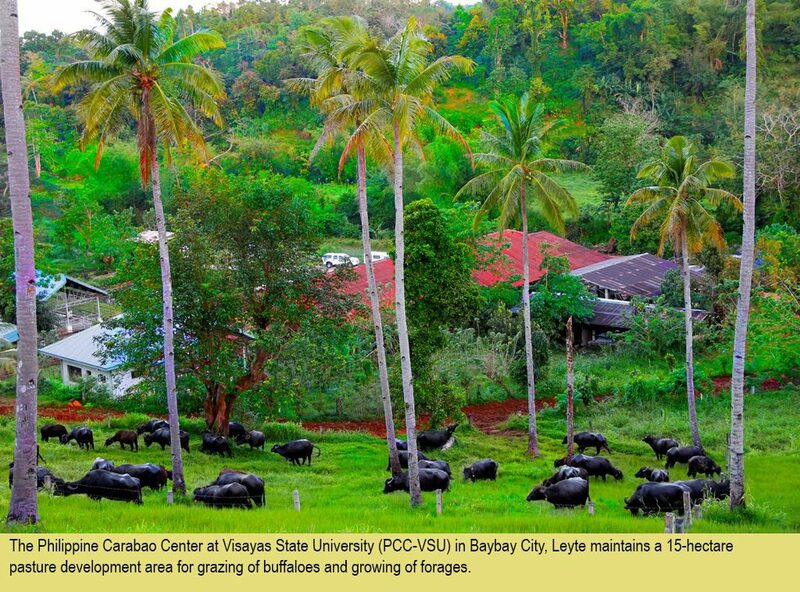 In this regard, pasture managers of two regional centers of the Philippine Carabao Center (PCC), hosted by Visayas State University (PCC at VSU) in Leyte and Central Mindanao University (PCC at CMU) in Bukidnon, have their corresponding ways in managing their respective pasture areas to maintain good production of the buffaloes in their institutional herds. PCC at VSU utilizes some 12 hectares of land for grazing of buffaloes and another three hectares for the growing of grasses that are cut and carried to the animals. The area has a rolling topography. According to Prof. Francisco Gabunada Jr., former center director of PCC at VSU and currently a consultant of PCC on forage development, pasture or forages are the cheapest and most stable (can be available year-round) sources of feed for ruminants. Ruminant production based on forages is not only economical but can also lead to safe and healthy products. He added that forages can supply all the nutrients required by the animal at a relatively low cost, thereby enabling adequate production with increased profit. The existing forages in their pasture area are guinea grass, humidicola, napier, shrubs, rensonii, flemingia, ipil-ipil and legumes. Grasses that cannot be fed to buffaloes are uprooted, he further revealed. On the other hand, PCC at CMU has 45 hectares of pasture area but soon, through a memorandum of agreement between the regional center and the university, this will be expanded to 70 hectare. It has a flat land area in which some parts are surrounded with trees. The predominant pasture grasses present in the area are Brachiaria decumbens or signal grass, Brachiaria brizantha and Brachiaria humidicola. At least three hectares are now planted to napier grass, according to Dr. Lowell Paraguas, PCC at CMU center director. One management option to promote a healthy pasture and good forage for grazing buffaloes is to implement rotational grazing, Prof. Gabunada said. This involves using cross fences to divide the pasture into separate units which are called paddocks. Animals are allowed to graze on a paddock and are then moved to the next paddock. As one paddock is being grazed, the other paddocks have the opportunity to recover and grasses can reestablish. Rotational grazing involves periodically moving livestock to fresh paddocks to allow pastures to regrow. It requires skillful decisions and close monitoring of their consequences. Feed costs decline and the animal’s health is improved when they are allowed to feed by way of a well-managed rotational grazing system. Another benefit to rotational grazing is that new growth will be much more nutritious and digestible for grazing animals, the experts said. “The pastures in PCC at VSU were established vegetatively using manual labor. The species we selected was one that was commonly growing well in the surrounding areas. We used relatively small paddocks to assure high utilization rates. After grazing, we cut back the grass as a strategy for the fast regrowth of the forage, and fertilization is done; both will assure adequate regrowth. A pasture that has been grazed will be given adequate time to recover by leaving it undisturbed for 30-45 days,” Prof. Gabunada added. The grazing hours for the buffaloes in PCC at VSU is from 6 a.m. to 10 a. m. It has a total of 66 paddocks. After foraging in the first paddock for 4 hours, the animals are scheduled to feed in another paddock the next day. Only the growing, lactating and pregnant animals are allowed to graze as they need to be fed with fresh grasses. Bulls and dry buffaloes are confined and fed with rice straws and concentrates. Andres Amihan Jr., PCC at VSU science research analyst and farm manager, said that after four hours of grazing, the buffaloes are brought down to the barn for wallowing and bathing. In the afternoon, they are given concentrates and napier grasses through cut-and-carry system. “We have a grazing rotation for more than one month. Grasses like guinea, humidicola and napier regrow within 45 days, so we have 45 days of grazing rotation but we have a total of 66 paddocks therefore we still have 21 paddocks as our back-up for this practice,” Amihan explained. “Proper feeding management has a very important role in the milk production and performance of buffaloes. If we want positive outcomes, we should do proper feeding and pasture management,” Amihan added. Forages that are rich in protein and fiber are the best feedstuff for buffaloes. The average milk produce of each buffalo in their herd is about six liters and 12-15 liters at peak lactation periods. The PCC at CMU implements a full-time grazing system for its more than 40 milking cows with an average milk production of six liters a day or 19 liters at peak lactation periods. The only time the animals are returned to total confinement is when they reach their dry-off period. Currently, the center has a total herd inventory of 330 buffaloes. “The milking cows are fed with very minimal amount of concentrates at the time of milking. After each milking session, they rest for a while before herding them back to the paddocks to allow the closing of their teats’ orifice. This prevents the udders from being infected,” Dr. Paraguas said. The center has 40 hectares of grazing area with 30 paddocks. Each paddock is one hectare wide and is planted to 1-3 varieties of grasses like signal grass, Brizantha, and Arachis pintoi that can feed 40 dairy cows in a day. “We are set to establish 30 hectares of napier grass plantation as additional forage and I just recently acquired five 25-kg bags of signal grass from Australia for our planting material. The seeding rate of one hectare is 6-8 kg of signal grass. One bag of it can be planted to five hectares of land,” Dr. Paraguas said. The center also plans to develop forage garden along the highway. “We will plant varieties of forage grasses and legumes. 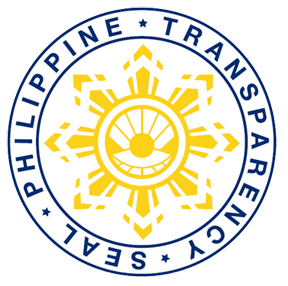 We want to help our farmer-cooperators in acquiring new accession of grasses,” he added. A part of their pasture development is the planting of legumes like Arachis pintoi and the utilization of animal manure as fertilizer. “You can see the need of the animal by just looking at its body. You will know there is something wrong with the feeding in terms of its body condition score (BCS). For me, if you don’t have a good pasture area, you will encounter a lot of problems on the animal’s reproductive performance and milk production,” he declared. Proper feed resources should meet the nutritive values necessary for the animals’ maintenance, lactation, reproduction, growth and good health condition. Dairy animals are in need of important nutrients such as energy, protein, calcium, phosphorus, magnesium, copper and vitamin A. Thus, the center is focusing on the mineral supplementation, especially for the milking cows. “We are supplementing concentrates but we are also planning to reduce its cost so we are establishing a good pasture. We will now invest more on pasture development,” he revealed. Improvement of feeding management, he reiterated, is very crucial especially if the buffaloes are pregnant and the feeding system is inadequate. The calves produced might have poor BCS and might be susceptible to diseases if good feeding management is not attended to. The center also is facing some challenges in the establishment of pasture area, according to Dr. Paraguas. They need to have equipment and machineries in putting fertilizers like manure spreader and loader. They are also planning to make the pasture area irrigated. He added that before raising buffaloes, the farmers should also have an established pasture area for the source of forage and that the supply of grasses should be available year-round. Utilization of new varieties of grasses, and not settling to just one variant, is also important. “We planted one hectare of napier as source of planting materials for our dairy farmers,” he said. As part of the pasture development of PCC at CMU, Dr. Paraguas acquired new varieties of pasture grasses, namely: Brachiaria Cultivar (Cv.) Mulato II and Panicum maximum Mombasa (improved guinea grass) from the smallhold dairy cattle farmers of the National Dairy Authority. The center started planting them last November. “I took part in some focus group discussions with the farmers since they have concerns on animal nutrition in which I contributed ideas. I acquired the new varieties of pasture grasses from them because they have this RP-New Zealand Dairy Project, a support program of the New Zealand government for small-hold dairy cattle farmers. They brought with them this new variety of grasses and identified focus farmers as to where they will plant the new variety so that other dairy farmers will see its nutritional value. I asked for some planting materials and planted it on a certain portion of our pasture area,” he expounded. Currently, the new variety is not fed to the buffaloes yet as it is intended for the forage nursery. It is still under the multiplication process so that it will be soon planted on a larger area. They tried to feed the grass to the weanlings from 6 months to 18 months of age and found out that they are the most palatable grasses. They said the animals immediately consumed all the grasses and they have higher dry matter intake compared to other grasses. “They provide a lot of nutritional value to the buffaloes since they are already the improved variety of grasses. They have high crude protein (CP) and dry matter,” Dr. Paraguas said. Cv. Mulato II, according to the Hancock Seed Company, has excellent nutritional characteristics in terms of CP content and digestibility. It was developed from three generations of hybridization and selection initiated in 1989 by the Forage Project of the Centro Internacional de Agricultura Tropical (CIAT), in Cali, Colombia, commencing with the original B. ruziziensis x B. decumbens cross then commercially released by Grupo Papalotla in 2004. It is reported to be highly palatable to grazing ruminants. Although both parameters vary depending on the age of the grass and the time of the year, in general, this grass yields 14-21% CP and its in vitro dry matter digestibility in regrowths of 25-35 days is 55-66%. Because of its superior quality and excellent production, Mulato II is suitable for intensive rotational management. Voluntary intake of the grass is high, which results in significantly greater milk production compared with other brachiaria cultivars. The recovery capacity of this grass is high, requiring rest periods of just 21-28 days during the rainy season. On the other hand, according to the Tropical Seed Company, Mombasa guinea grass is a tall grass, similar to hybrid Napier grass in habit, but far more leafy and is very suitable for cut-and-carry. It was introduced in Brazil from Tanzania in 1993. It is a very productive leafy grass, producing between 20 and 40 t/ha dry matter per year. In Thailand, it has 8% to 12% crude protein on poor soils and 12% to 14% crude protein on better soils. It can be either rotationally grazed or set-stocked or used on cut-and-carry basis. “I am one of the witnesses of what these new varieties can bring. I observed the improvement in the milk yield of the cattle of the farmers by feeding these improved pasture grasses. From 5-6 liters, it jacked up to 10-12 liters,” Dr. Paraguas said. This rainy season, he said, he is planning to buy sacks of these varieties from the farmers and plant them in PCC at CMU’s pasture area. He added that the developed pasture area can result in improved milk production and performance of the buffaloes.